Biomass energy is the fourth energy resource in the world after coal, oil and natural gas. Unlike other highly utilized energy sources, biomass is a renewable energy source. There are various types of biomass, such as agricultural production waste, forestry waste and flammable biomass can be used as biomass fuels, which are rich in source and easily accessible. Moreover, the production and processing of biomass forming fuel are convenient, the use and operation are simple, the economic benefits are considerable, and it is harmless and pollution-free. Therefore, the research and promotion of biomass fuel briquetting or pelletizing have great social and economic benefits. The research and development of biofuel briquetting/pelletizing technology have received widespread attention from governments and researchers around the world in recent years. Since the 1930s, Japan has studied the application of mechanically driven piston molding technology to treat wood waste. In 1954, it developed a rod fuel molding machine. In 1983, it introduced pellet production fuel production technology from the United States. In 1987, there was more than a dozen. The pellet-forming fuel plant is put into operation, producing over 10,000 tons of material pellets per year. 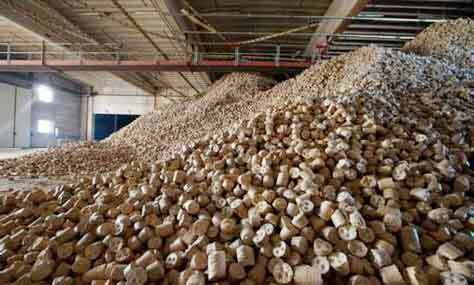 In order to alleviate the pressure of conventional energy shortages and environmental pollution, the United States has built bark fuel briquetting plants with a daily output of 250-300 tons in 25 states. Western European countries also attach great importance to the development and utilization of biomass renewable energy. Since the 1970s, they have developed and produced stamping briquetting machines and pellet machines. Italy, Denmark, France, Germany, Sweden, Switzerland and other countries have successively built factories of more than 30 on biomass pellet machines producing. And mechanically driven piston bio coal briquetting machines manufacturers of more than 40. Thailand, India, Vietnam, the Philippines and other countries also built a number of biomass solidification, carbonization professional production plants in the 1980s. At present, biomass fuel production technology is broadly divided into two categories: biomass rod-shaped solidification briquetting fuel production technology and biomass pellet fuel production technology. The process of biomass solidification fuel system follows the step below. The biomass raw materials are crushed by a crusher, and then dried or sprayed with water (different briquetting equipment requires a different moisture content of the raw materials. When the raw materials with high moisture, they need to be dried with the drying equipment. While the raw moisture is too low, the spray water is used to increase the moisture. ), then after raw materials meet the moisture and size requirements, they are passing through the rob briquetting machine to make the bio coal briquette. If further deep processing of the product is required, carbonization can be carried out to produce a charcoal of high calorific value. The biofuel briquetting machine has two types: stamping briquetting and screw briquetting. Stamping briquetting machine is the production of briquetting fuel by reciprocating piston bi-directional pressing. 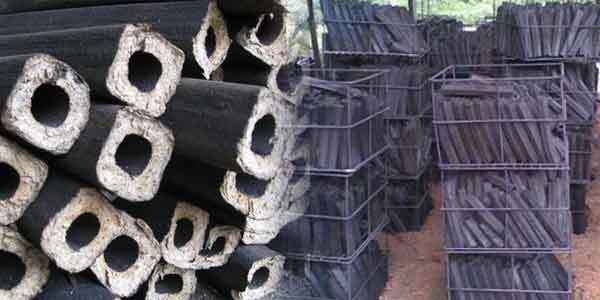 Screw briquetting produces rod-shaped high-density hollow molding fuel by spiral extrusion (find the screw briquetting machine on briquettesolution.com), which can improve the burning performance of loose waste and improve the value of waste (the briquettes can be made of high-quality charcoal by carbonization). Biofuel briquetting is based on forest product processing waste (sawdust, shavings, etc.) and crop waste (straw, rice hull, etc. ), used in industry and daily life or as a raw material for the production of activated carbon. Production test and analysis results show that the briquetting machine has the benefits of improving the service life of the wearing parts, reducing the energy consumption per unit of finished product, working stably, briquetting reliable, low cost, short payback period, environmental protection. Biofuel pelletizing equipment is roughly divided into ring die pellet machine and flat die pellet machine. The principle of the ring die pellet machine is to utilize the internal system of the ring mold, the pressure is applied from the inside to the outside by the pressure roller to cause the fuel to be extruded. The machine is a device for extruding pellet fuel by an inner ring molding roller. The flat die pellet machine is an improved type of the feed pellet equipment. 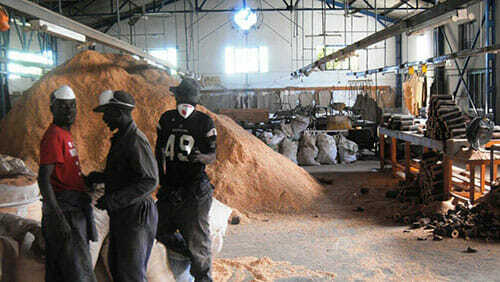 The equipment is pelletized at room temperature, the main material is wood sawdust with the product of granular. After turning the biowaste to biofuel briquette, it can be used for the following purposes with a deep processing. Processed into bio charcoal briquette, the produced charcoal can replace natural charcoal as fuel charcoal, the charcoal does not contain carcinogens, especially suitable for BBQ etc. Perform secondary activation processing to produce qualified industrial activated carbon for metallurgical reduction and carburizing agent. As an adsorbent, used in the environmental protection industry. The application of charcoal powder used in the farmland can effectively improve the ground temperature, soil fertility and prevent pests and diseases. The use of charcoal dust to produce a variety of charcoal briquettes by a charcoal briquetting machine is relatively low cost and has strong market competitiveness. Civil stoves mainly use pellet fuel, which is generally a small semi-gasification heating stove and cooking utensils. In order to get high quality wood gas, the gasification stove needs to have enough hot carbon layer to convert the CO2 produced by formula (1) into CO by the reaction of formula (3). This can be done with a pellet-formed fuel consumer stove with higher thermal efficiency. Most of the biofuel briquettes/pellets can be burned directly or in combination with coal without the need to retrofit the boiler. Only a small number of coal boilers need to be modified to suit the use of biofuel due to their different blast, temperature and combustion patterns. Biofuel briquette/pellet has the characteristics of good combustion effect, no pollution and sustainable development. With the advancement of biofuel technology, its economic benefits will be optimized. With the gradual reduction of disposable energy, biofuel will be further promoted and applied.